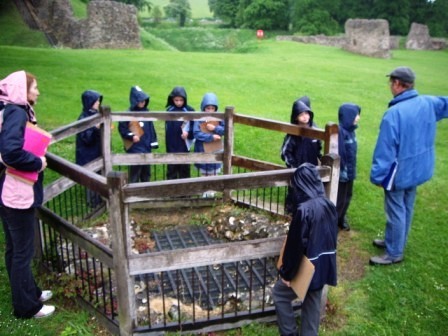 Group Bookings and Castle Tours are offered to schools and other groups during the week and at weekends. There is no charge for school and young persons’ groups but a donation is appreciated to further the work of the Society. Please contact us to book in advance. Why not make a day of it? Parking can be a challenge and if you arrive by train, the castle is just a short walk from the back entrance of the station. Enjoy lunch beside the canal, see the locks, take brass rubbings of the canal plaques and try the play facilities in Canal Fields. Or try the Heritage walk. See an animated film of Castle life in the 14th century (don’t forget to switch on your speakers).